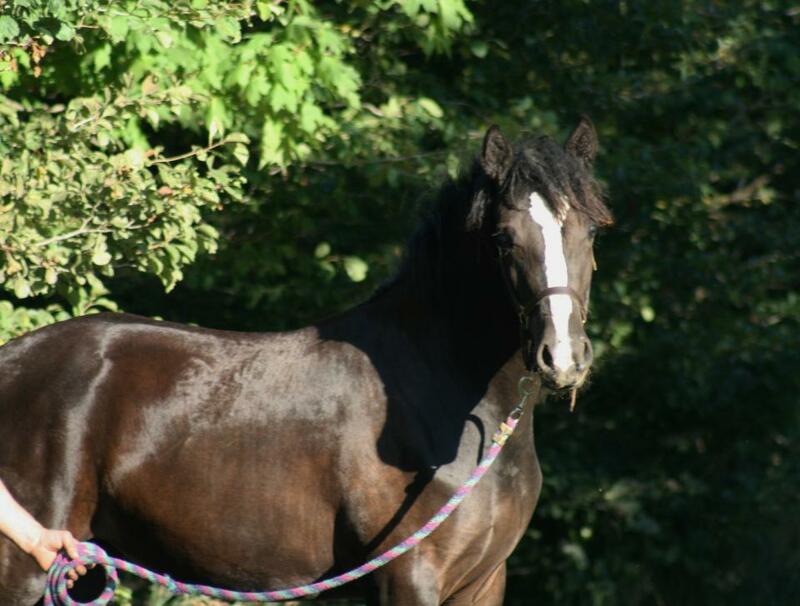 Annabella is an adorable black, 3 year old mare with a lovely topline. Nice movement too. 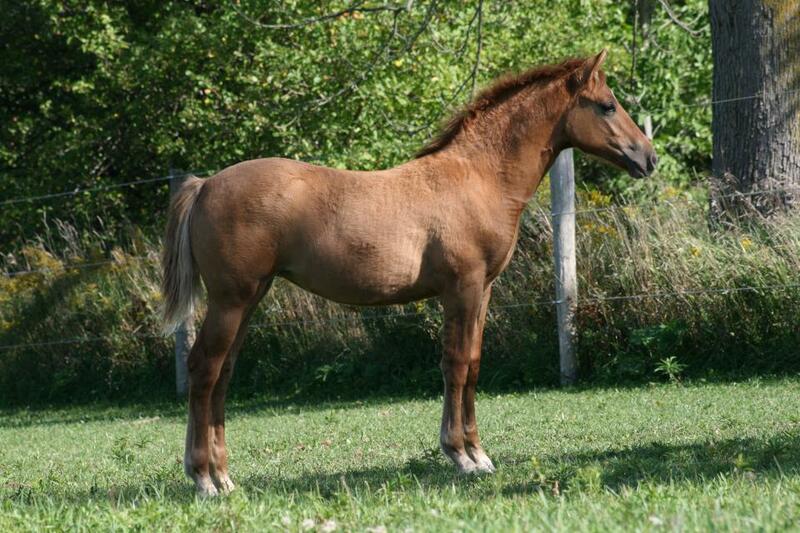 We expect her to mature at 15.2 to 15.3 hands. Her coat is extra thick with a loose curl. 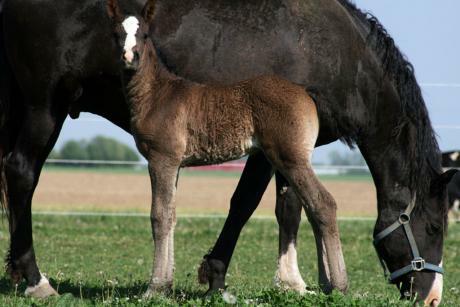 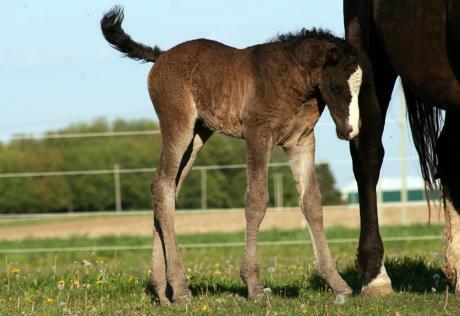 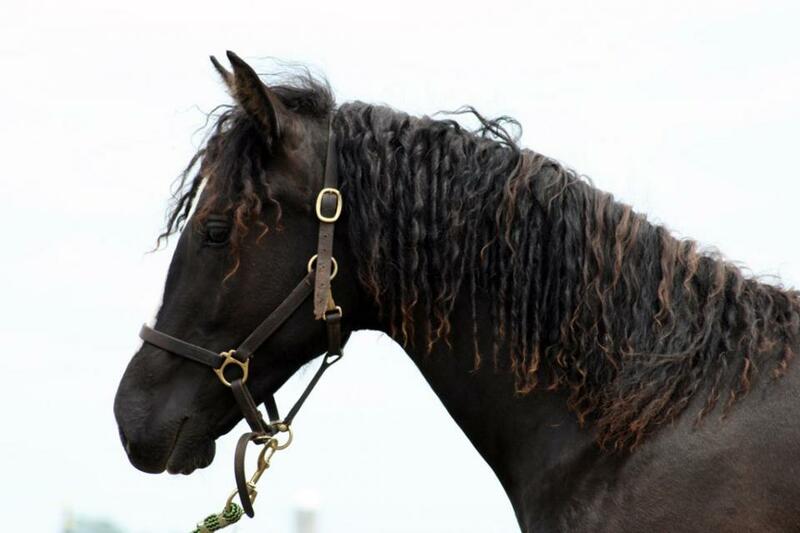 She has the full ringlet mane & tail like her dam Mona and her sire Aishihik Twist. 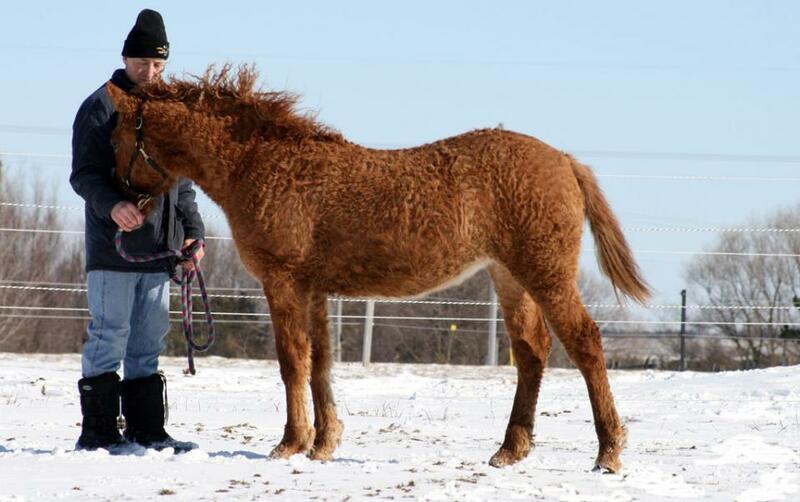 Annabella wants to be in the middle of everything and is lots of fun to work with. Loves to have her halter put on to get out for a walk. Leads perfectly, stands quietly in cross-ties, picks up her feet nicely, and of course loves being groomed. Very confident and sweet Annabella is looking for her new family. 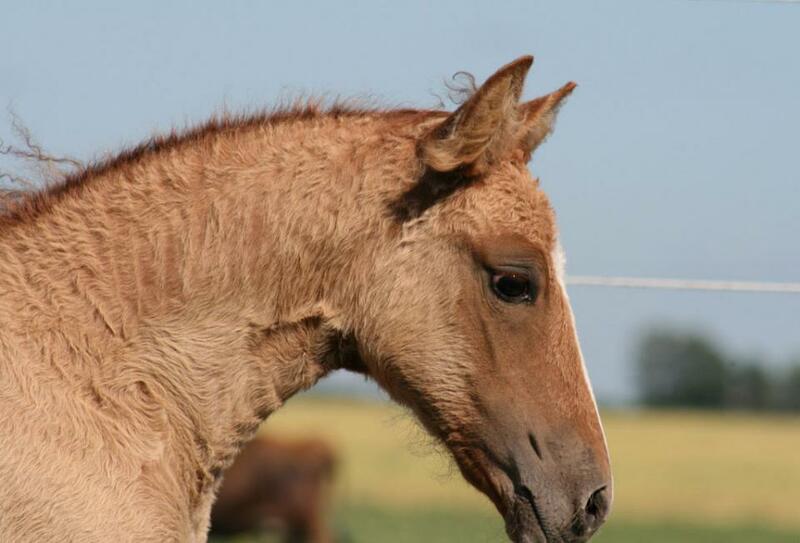 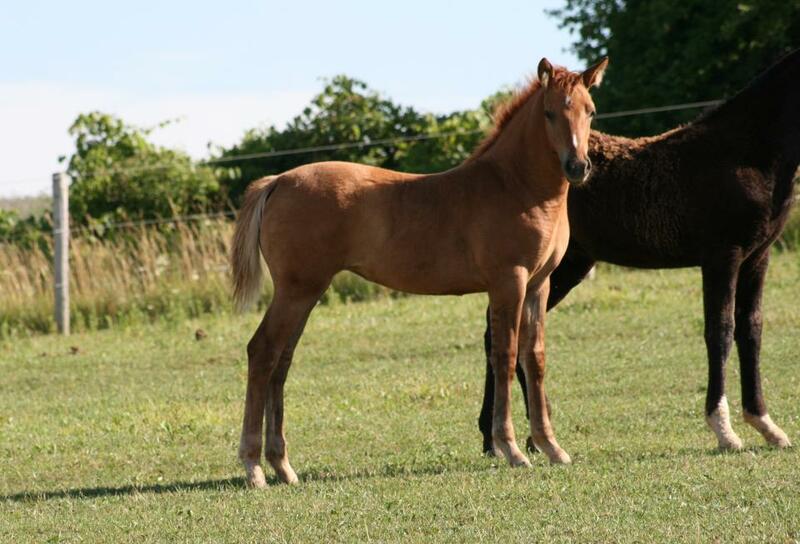 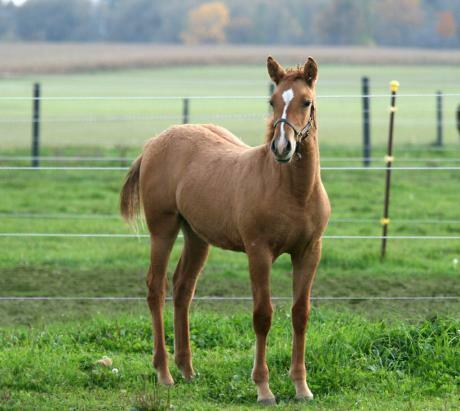 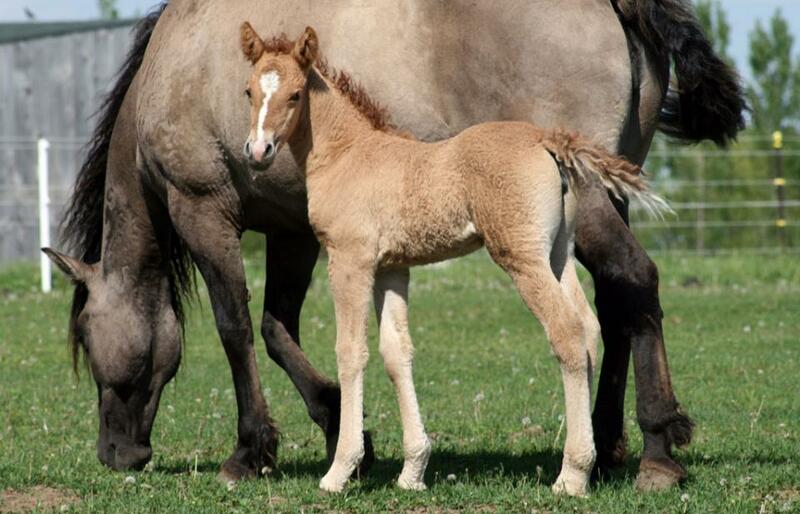 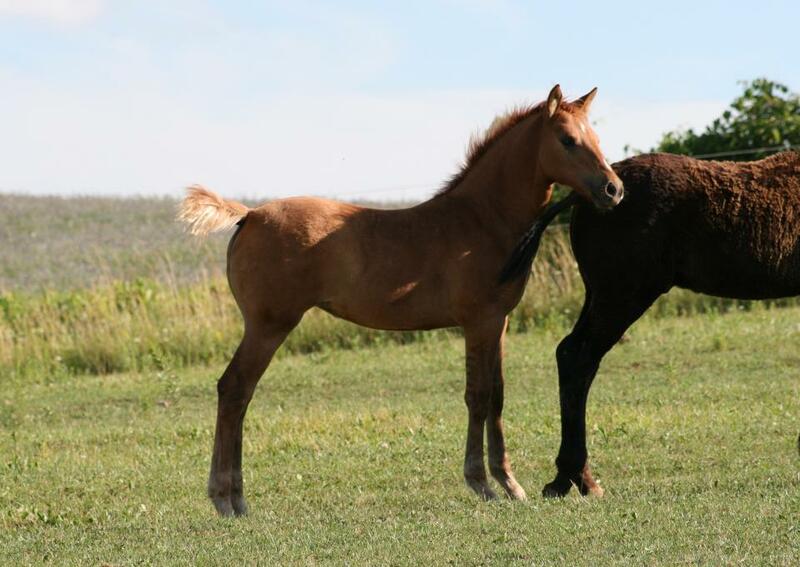 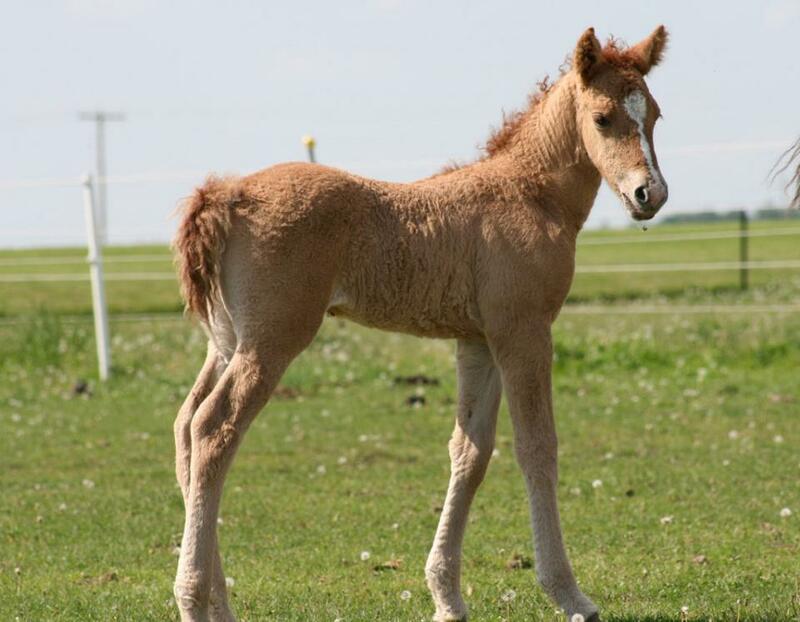 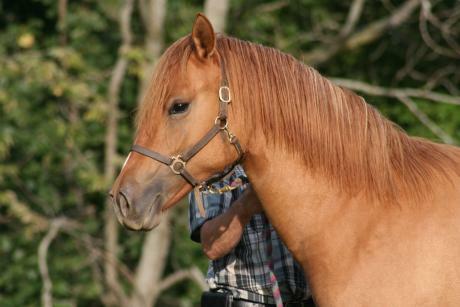 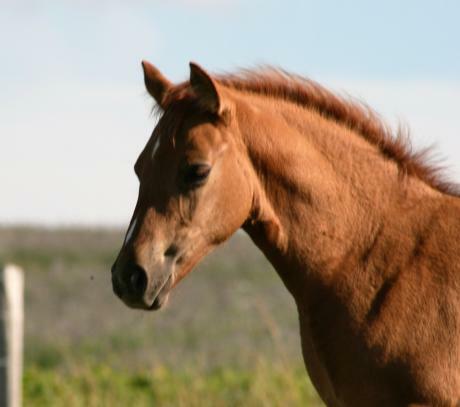 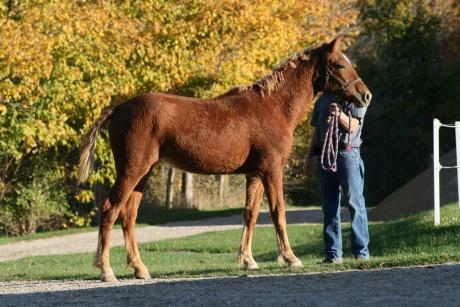 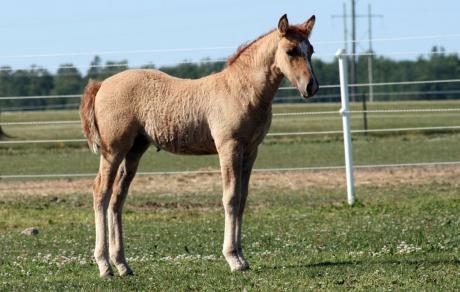 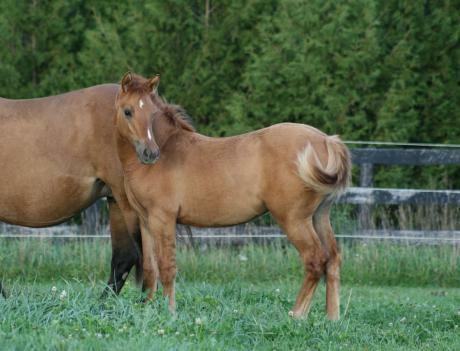 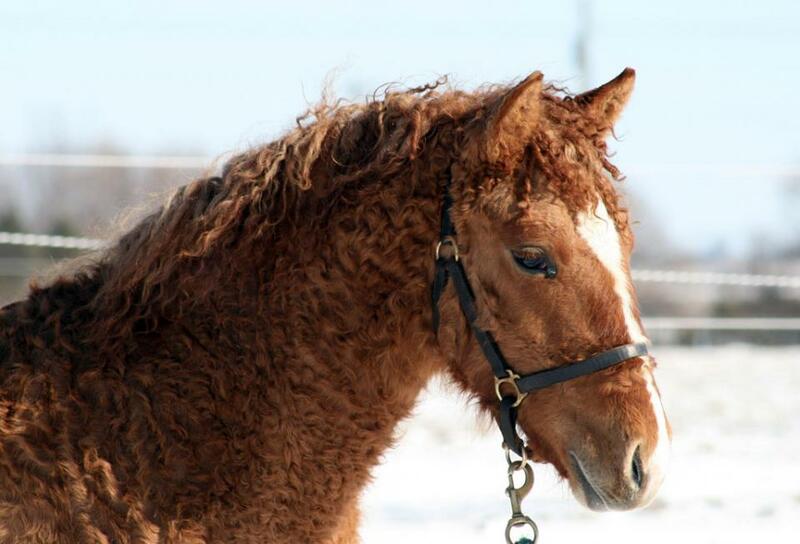 FloraLake Sierra Beauty is a 2016 straight coated, red dun filly. She has large expressive eyes to set off her pretty face and strong build. 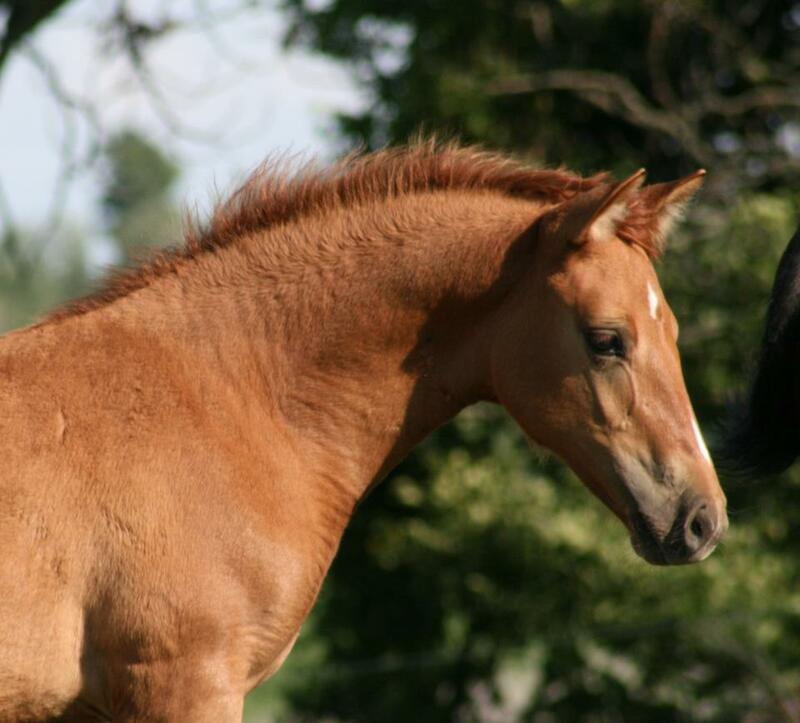 Curious, confident, and friendly like most of her siblings have been. 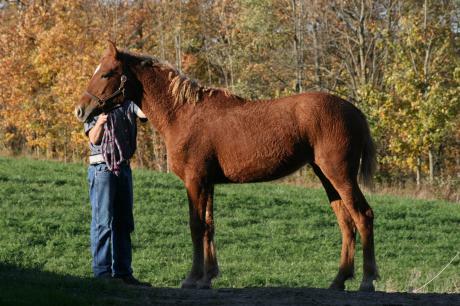 Sierra Beauty will likely mature at 15 to 15.1 hands. 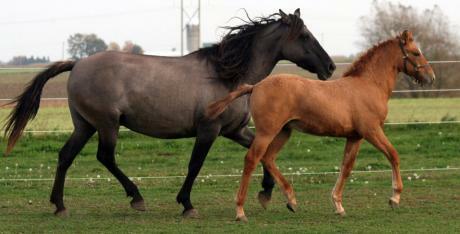 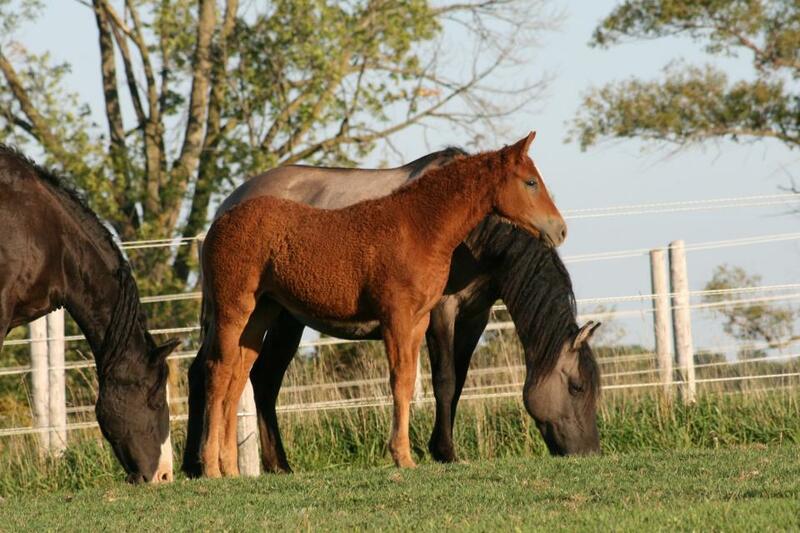 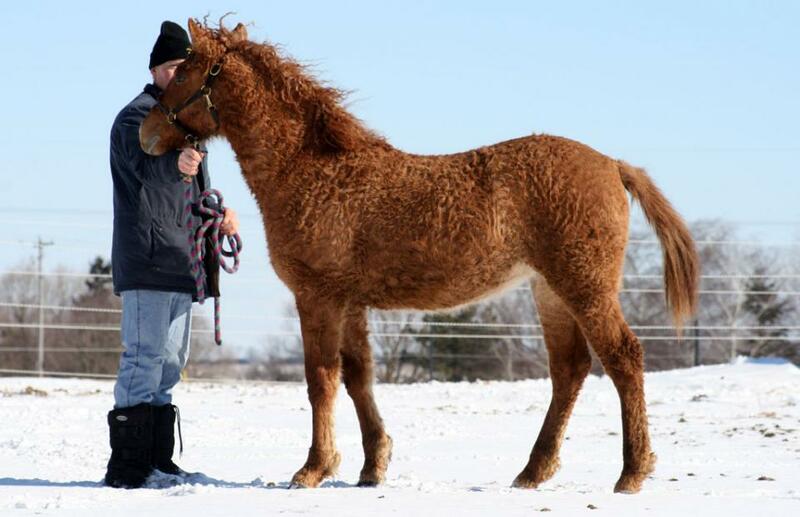 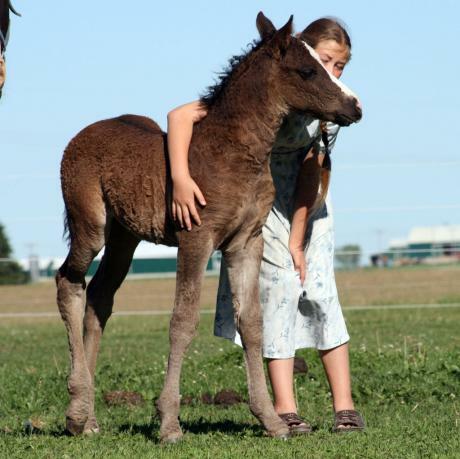 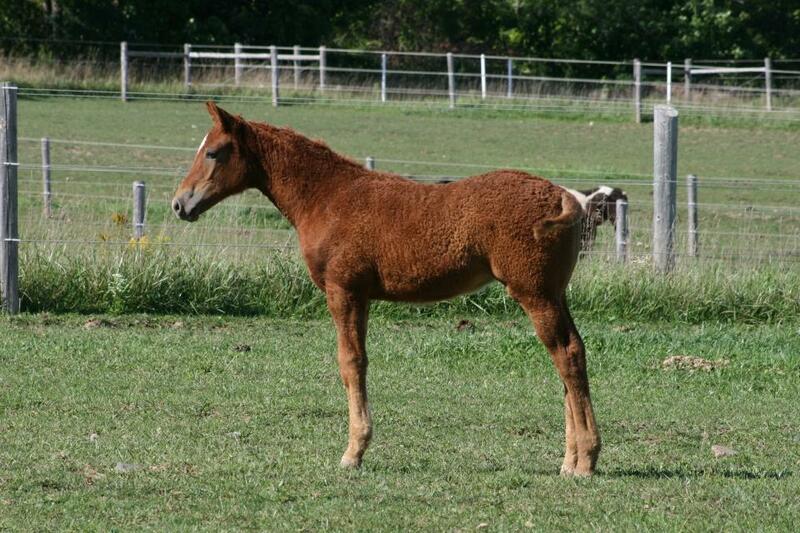 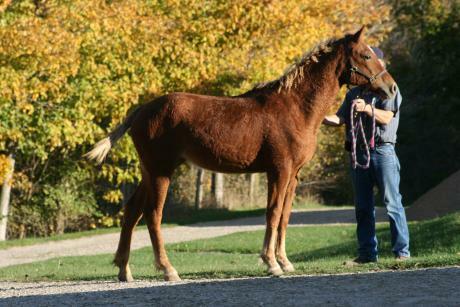 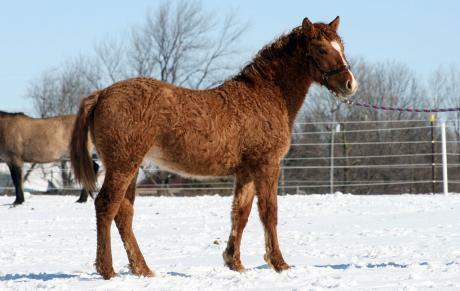 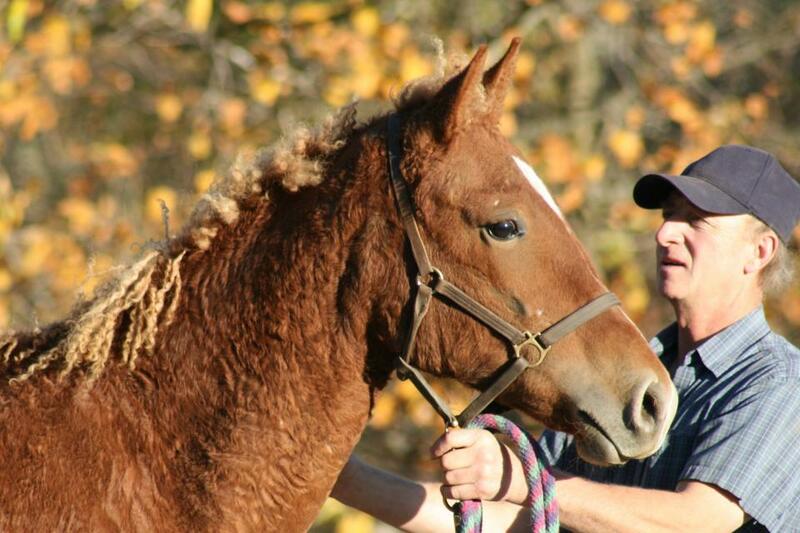 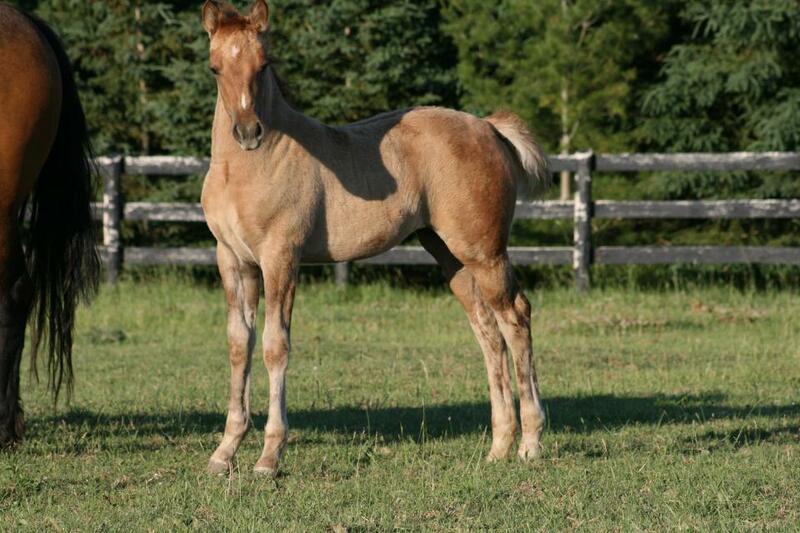 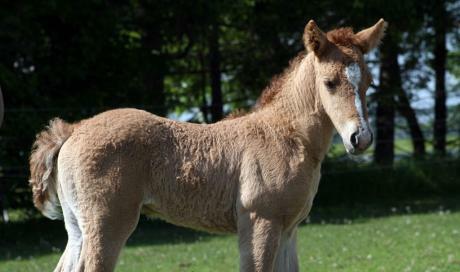 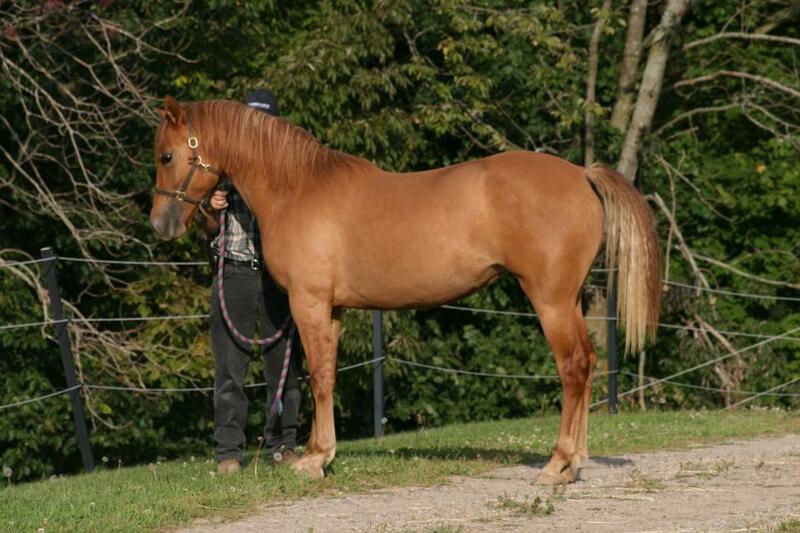 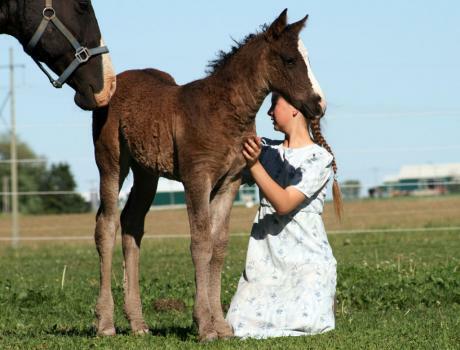 Robyn is a tall, curly coated, sorrel filly with a flaxen mane and tail. A lovely girl in both looks and temperament. We expect her to mature at 15.2 to 15.3 hands according to her size presently and that of her siblings by the same parents. 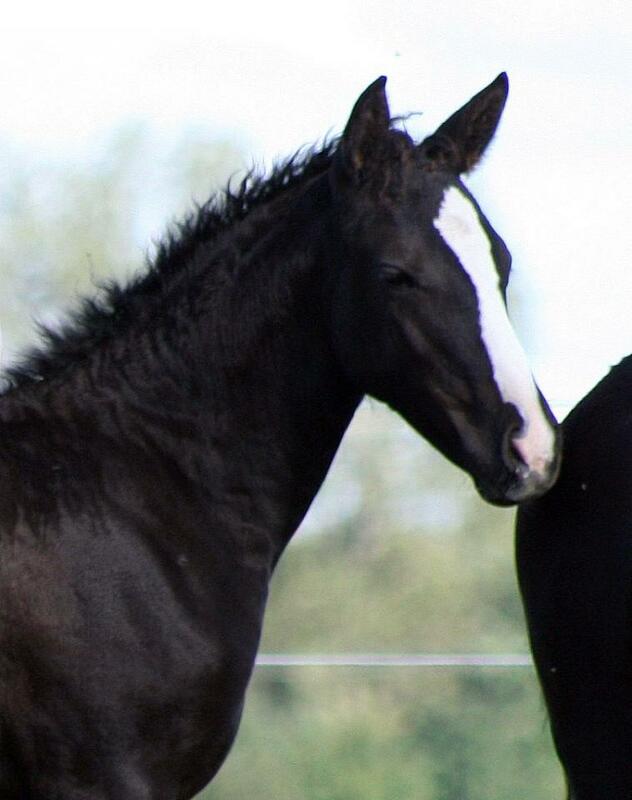 Robyn has a pretty, refined head with a white diamond. She would make a wonderful sport horse and broodmare with her sire winning many ribbons showing dressage. 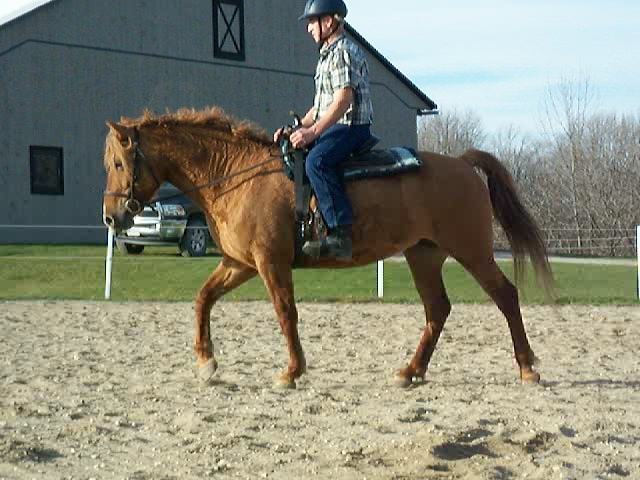 Robyn leads nicely and stands politely to have her feet trimmed. 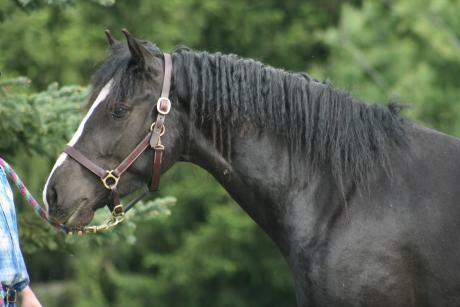 Exceptionally sweet and friendly trying so hard to please. 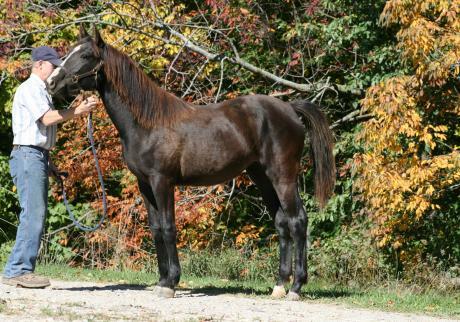 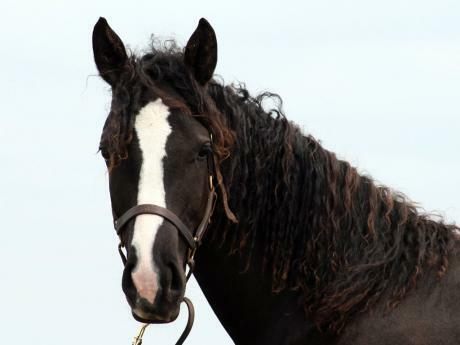 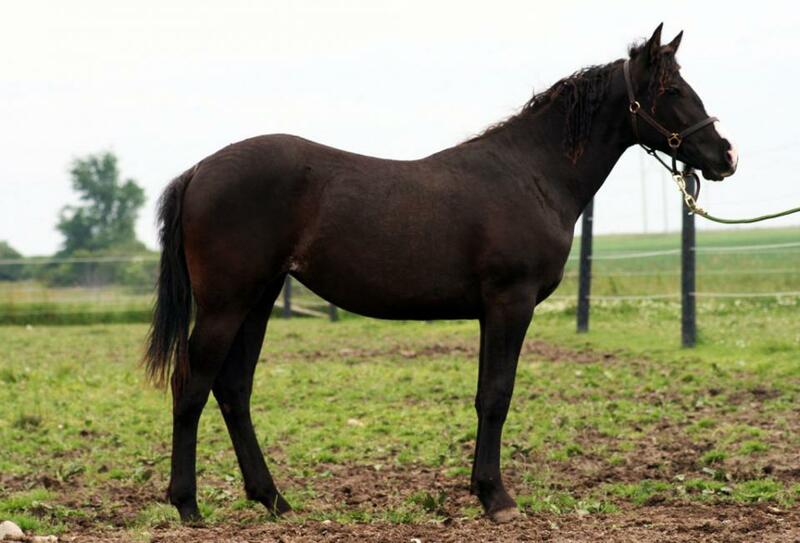 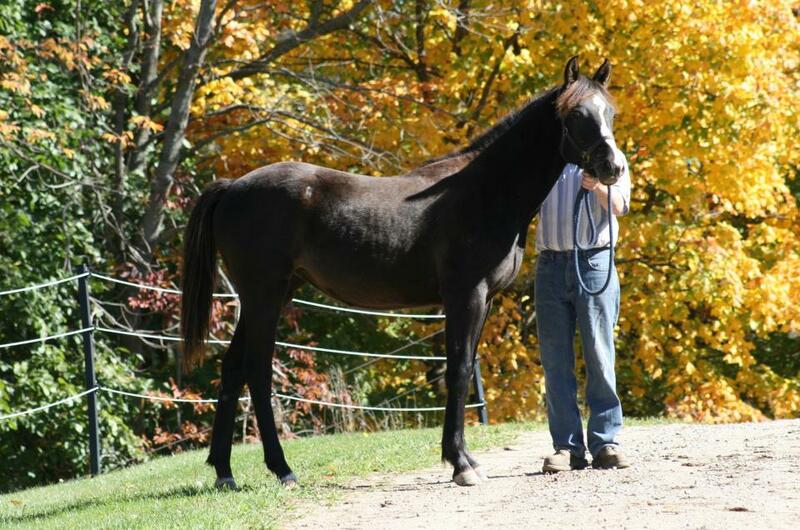 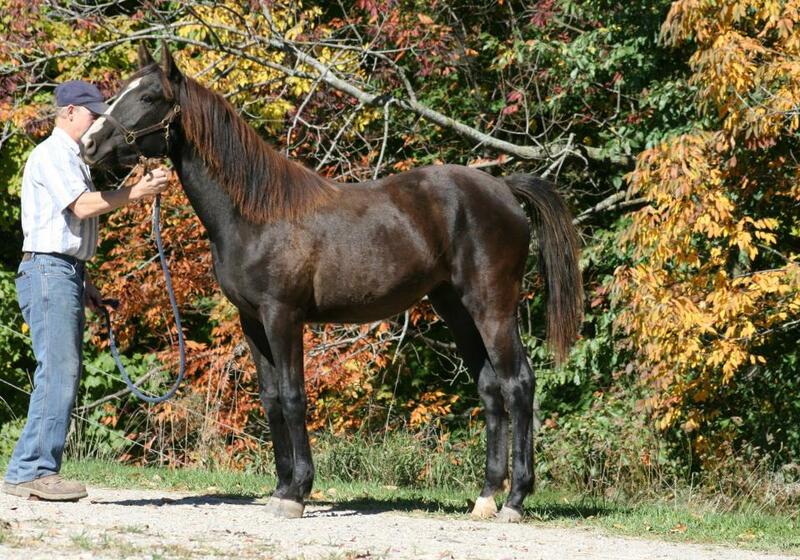 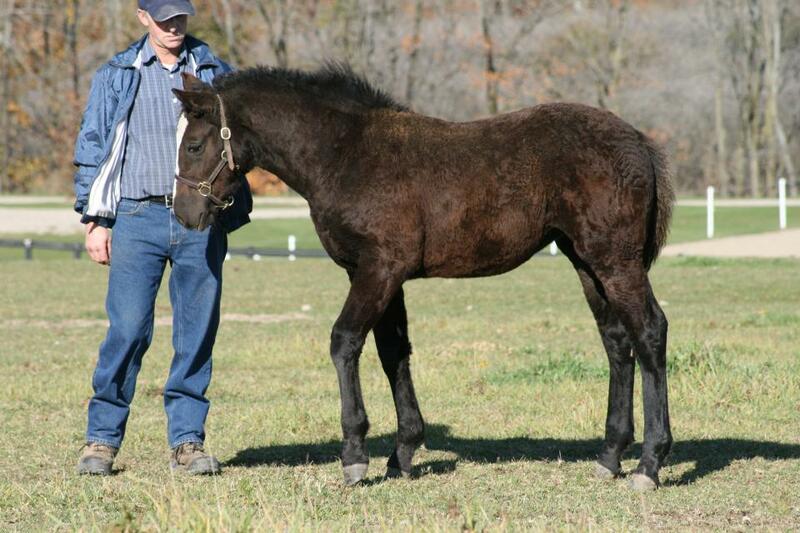 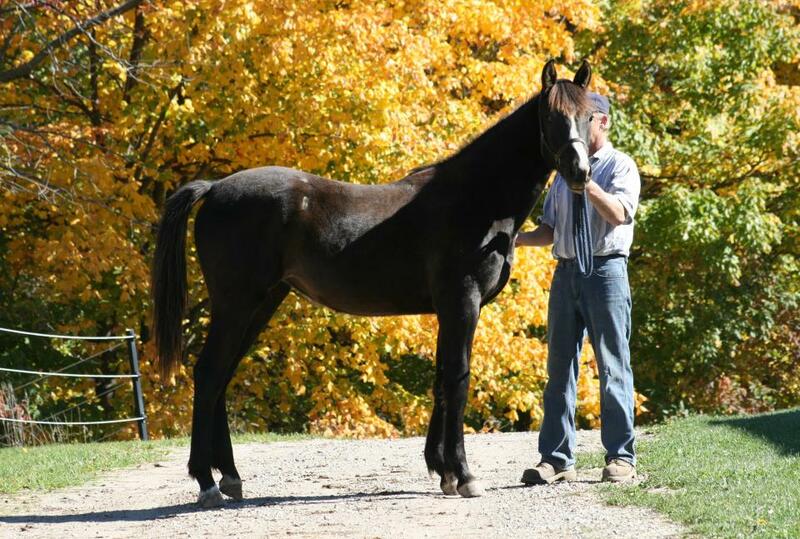 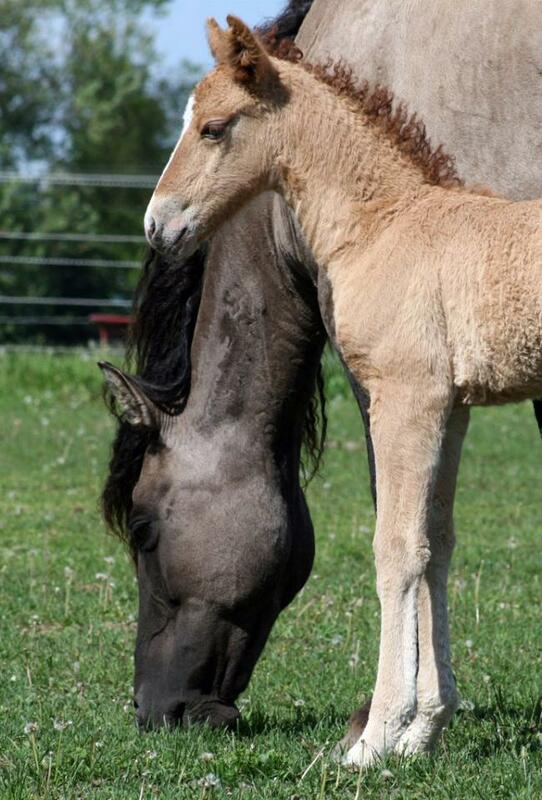 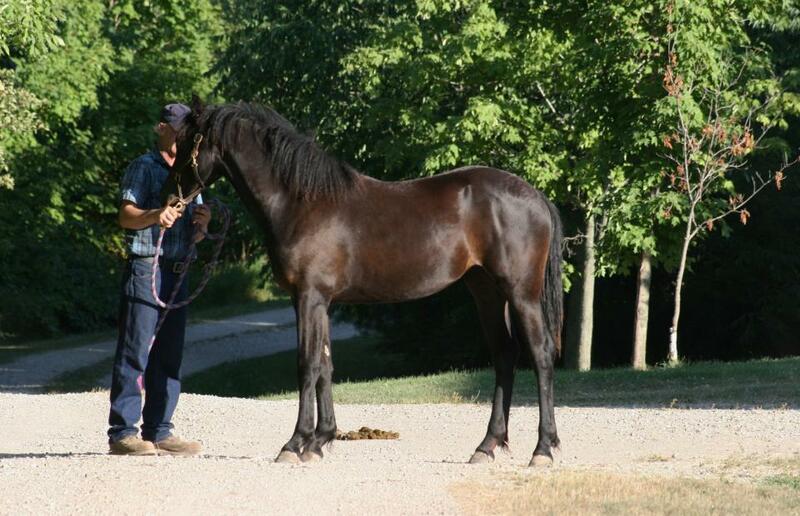 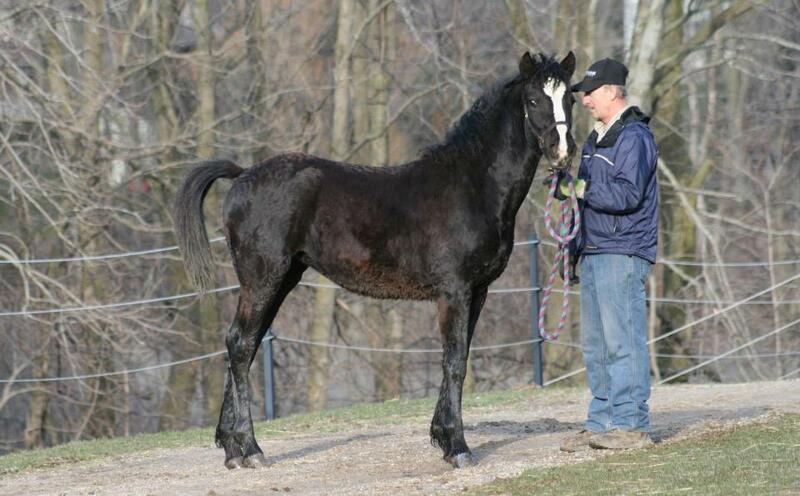 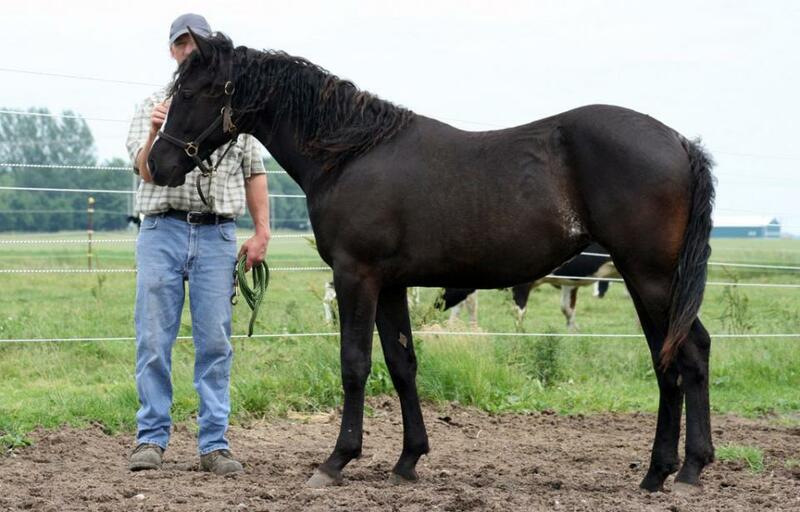 LaRose is a young black curly mare. (Scroll to the bottom of her page to see her most recent pictures.) 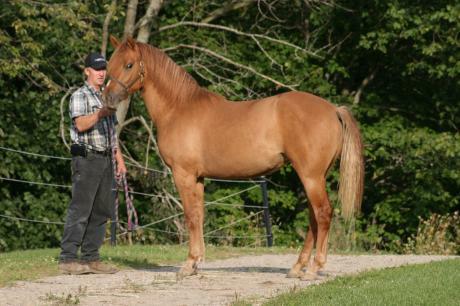 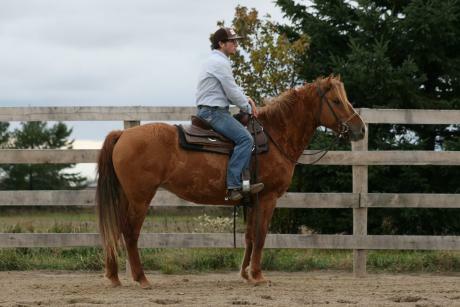 LaRose has matured to a lovely Curly mare with a pretty head, good neck length, a nice topline, and powerful hindquarters. 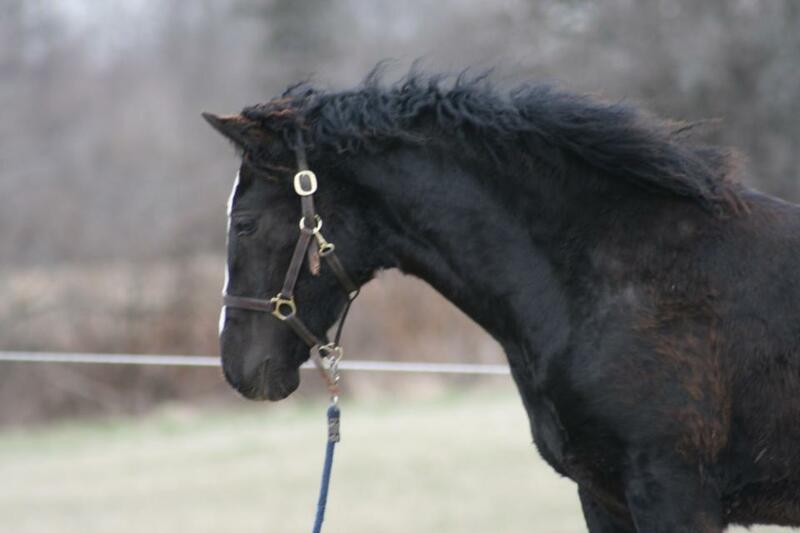 She is a good dressage prospect with lots of suspension in her movement, natural collection, and a special presence about her. 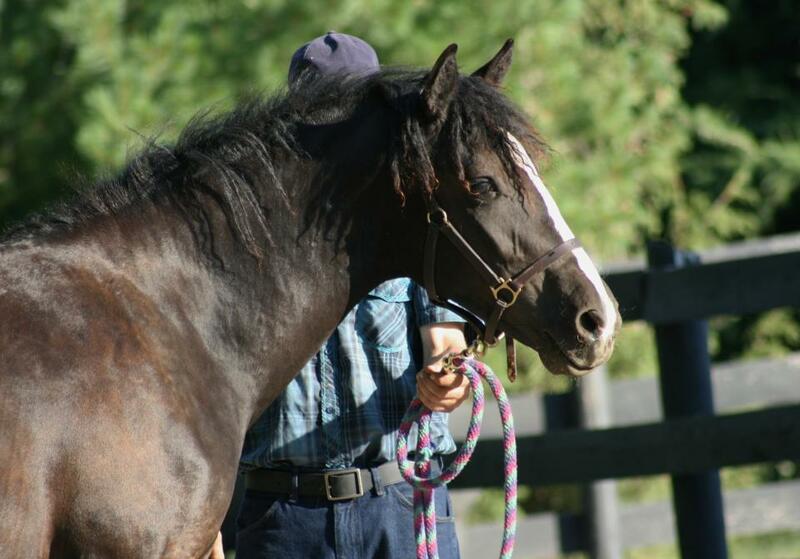 LaRose has a bold, curious, friendly temperament and is happy to make friends with anyone who comes to see her, strangers too. She is colour DNA tested as being a true black. 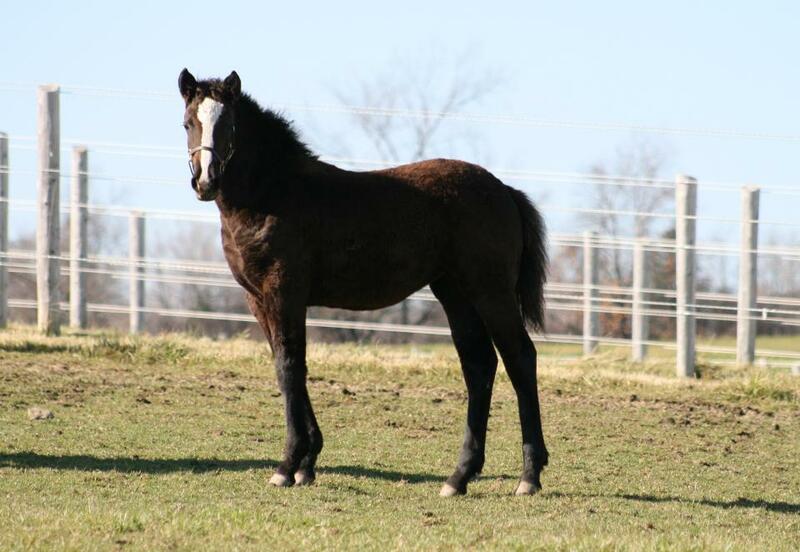 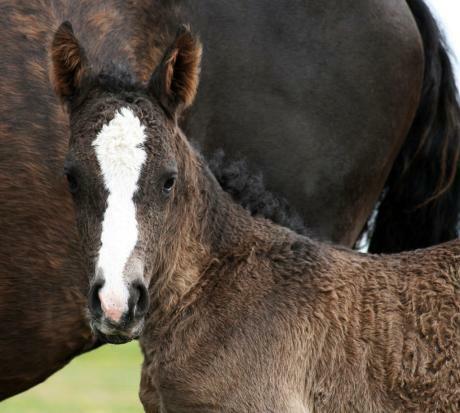 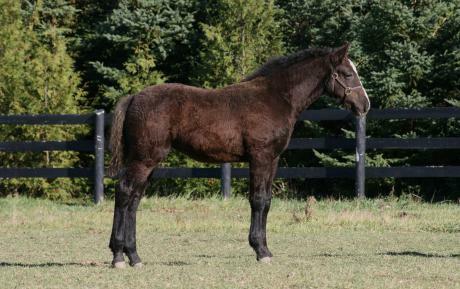 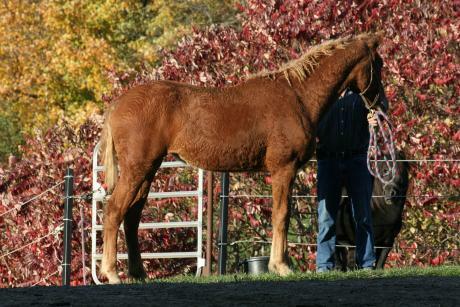 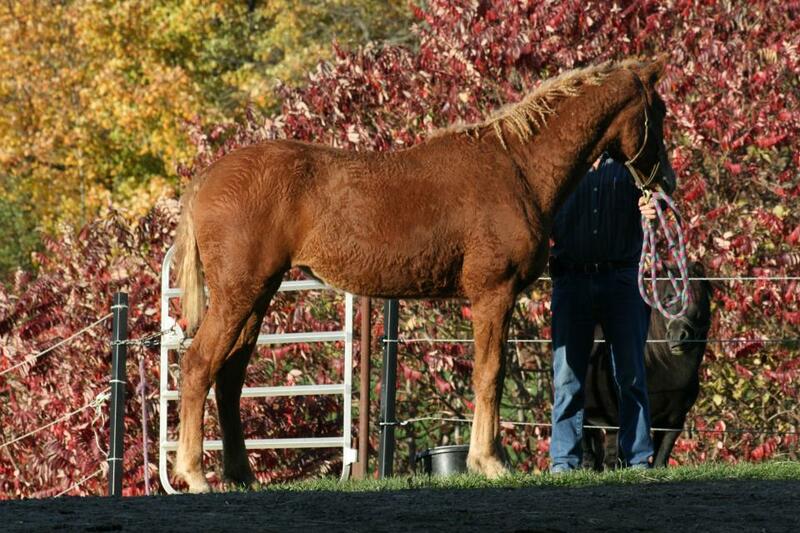 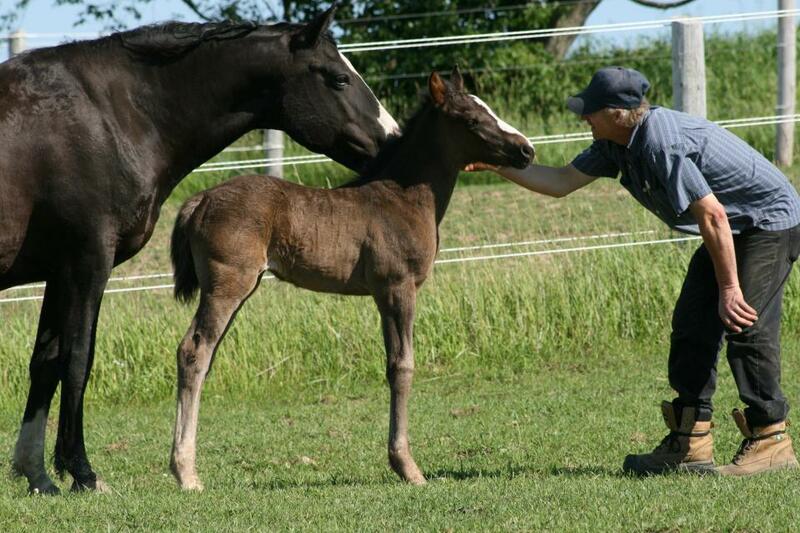 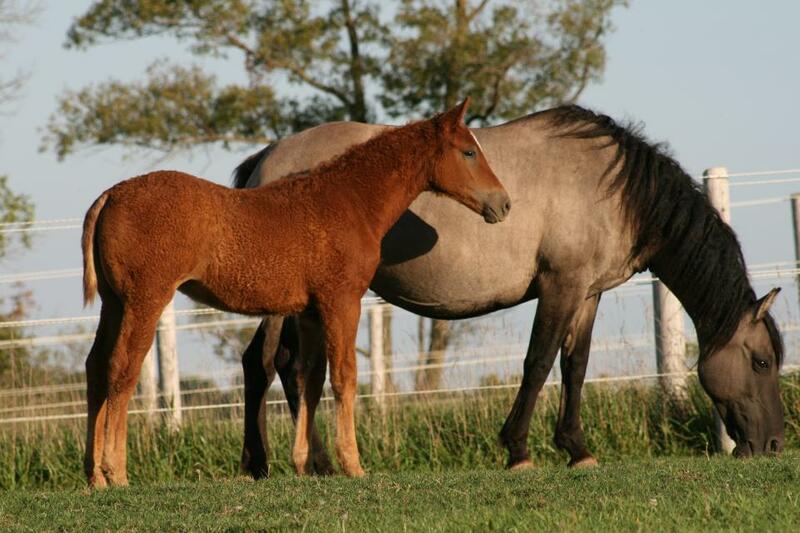 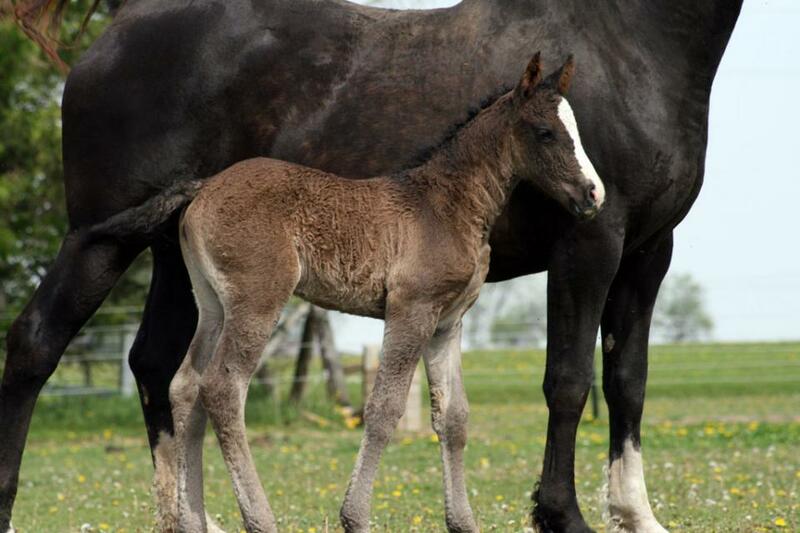 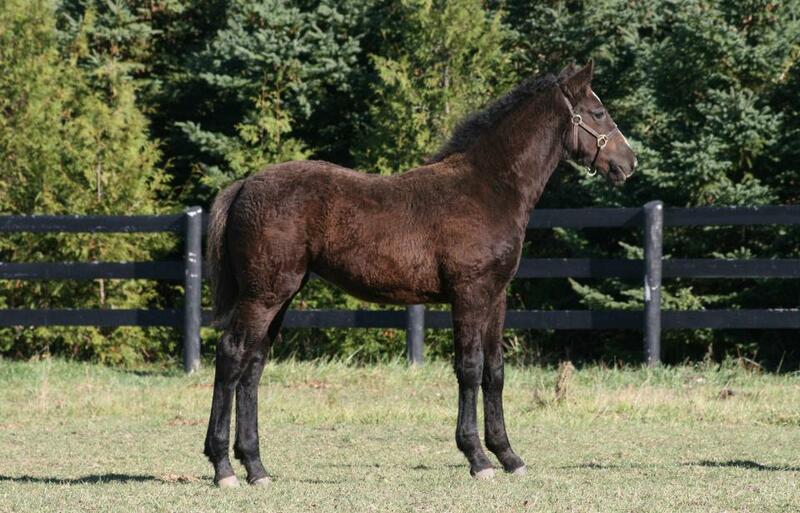 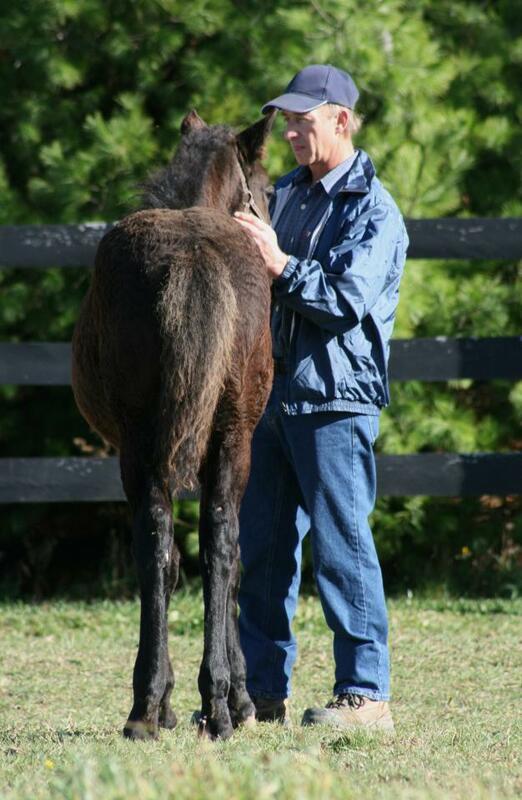 She has matured at 15.1 hands and would be a great mare to raise some Curly foals from. 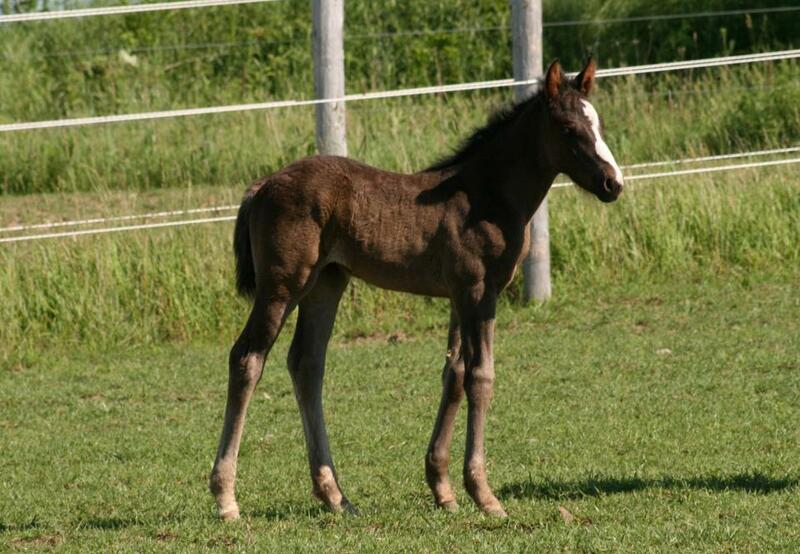 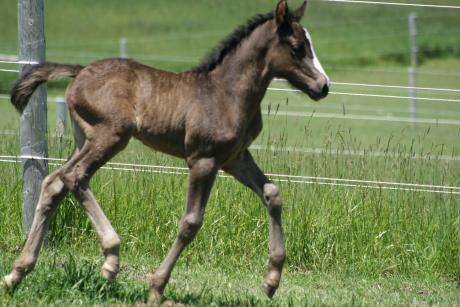 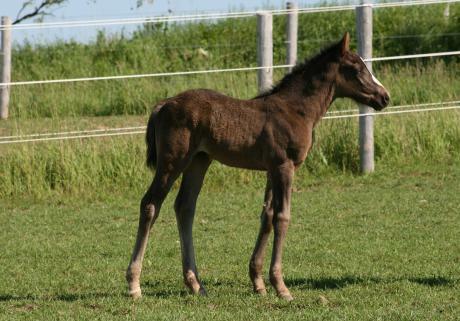 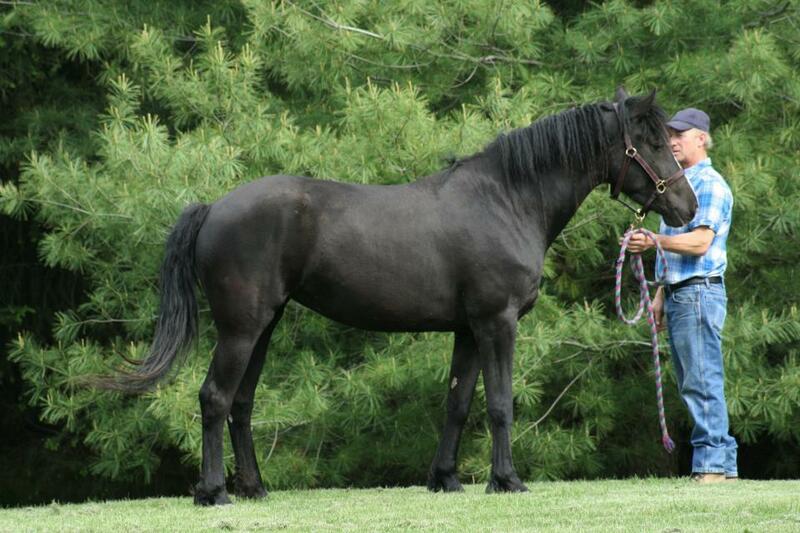 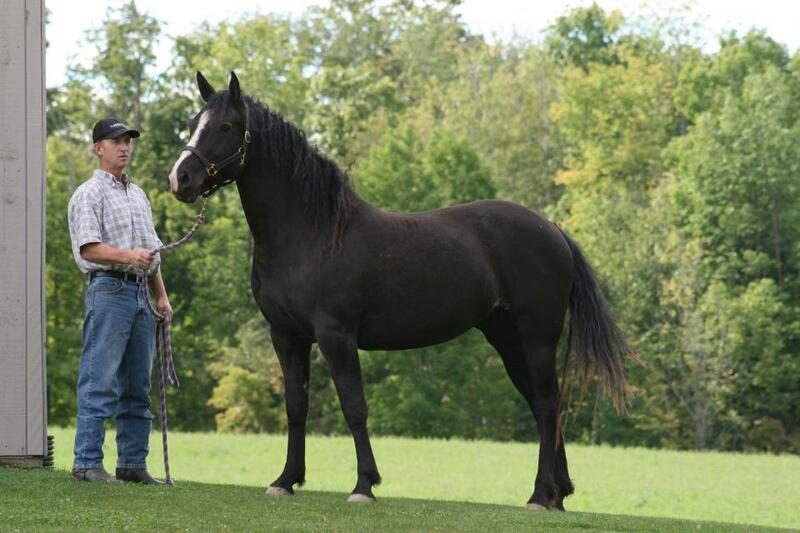 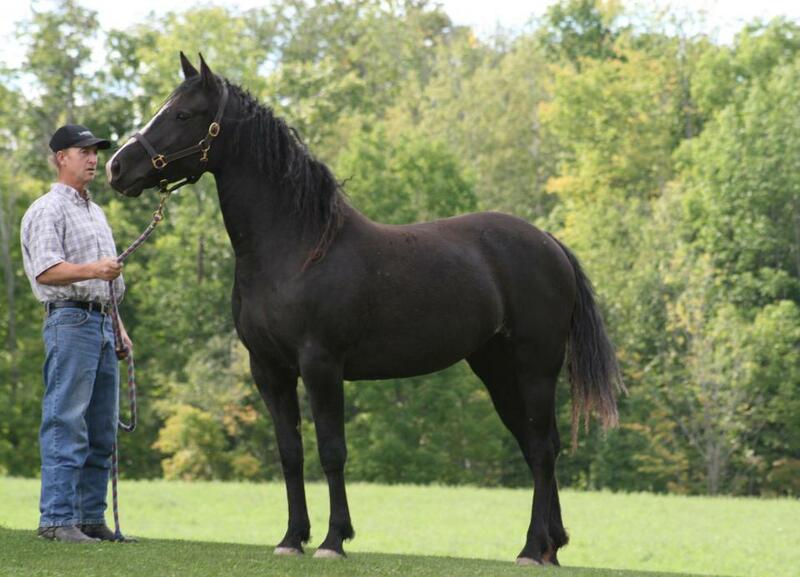 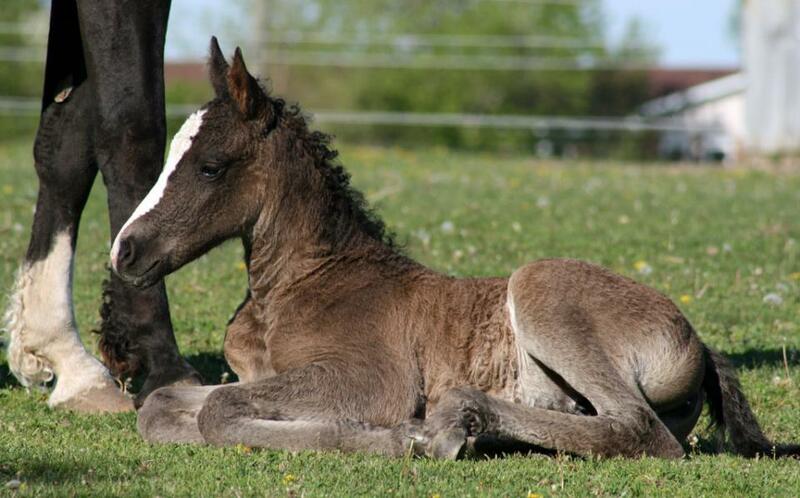 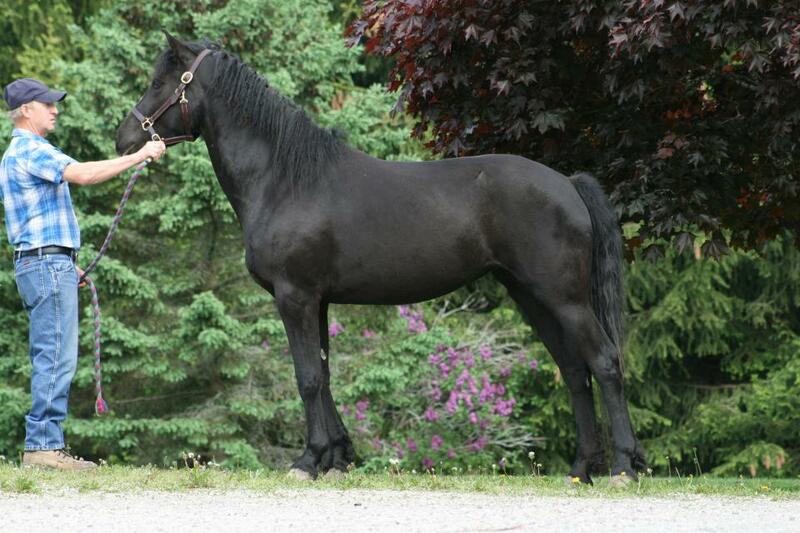 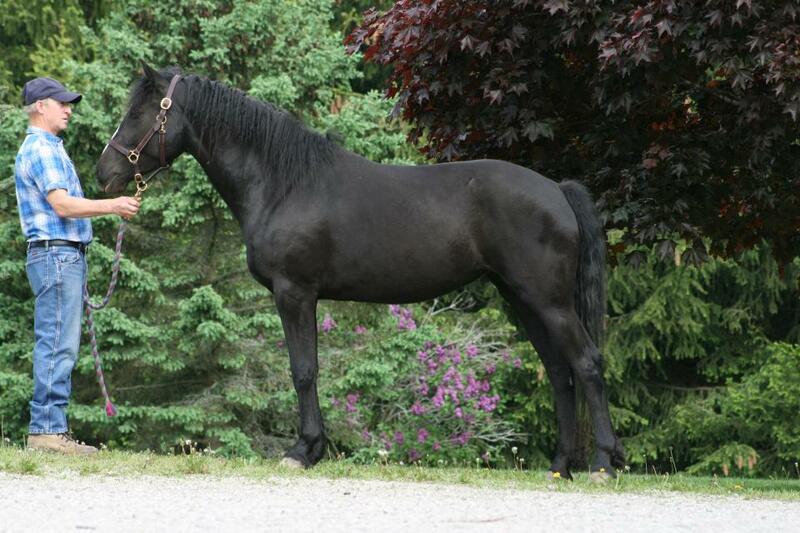 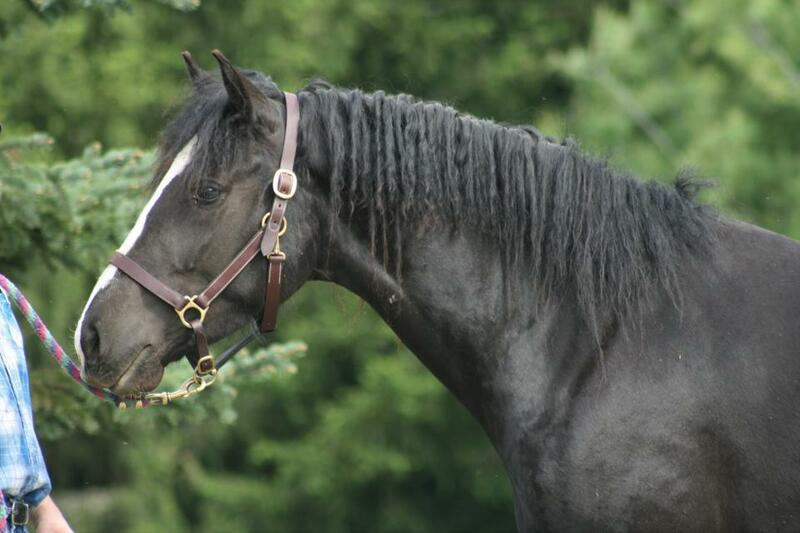 LaRose can be bred to our dressage champion stallion Black Diamond if you choose. 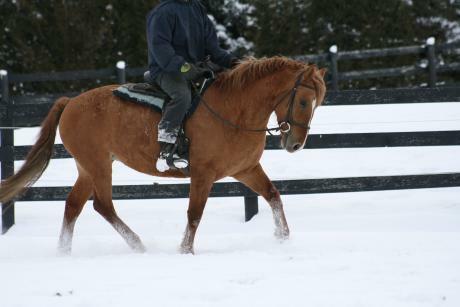 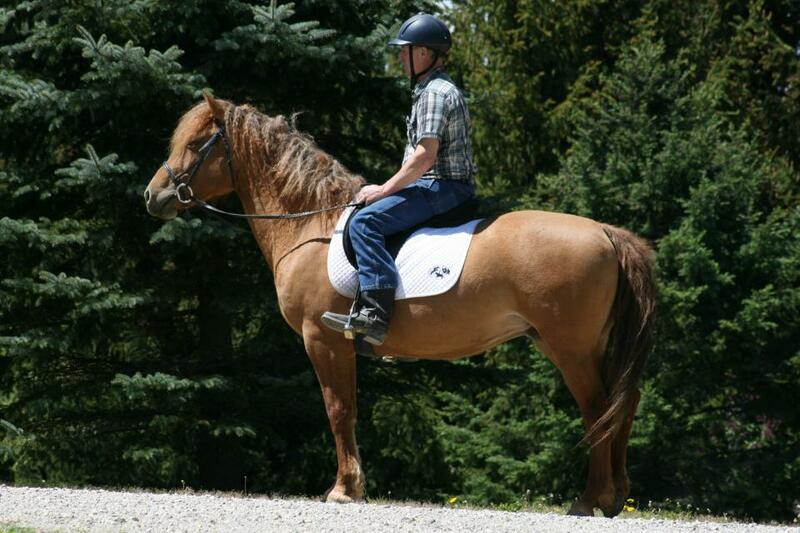 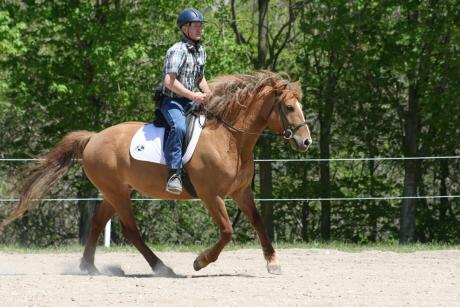 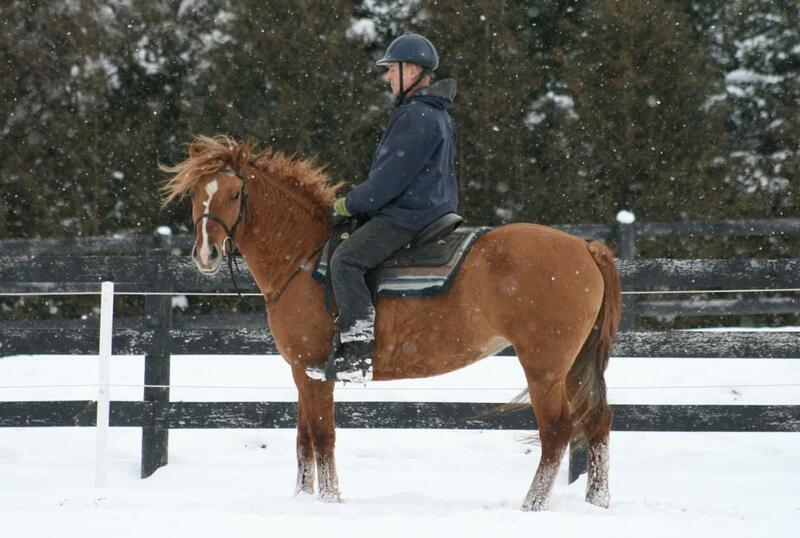 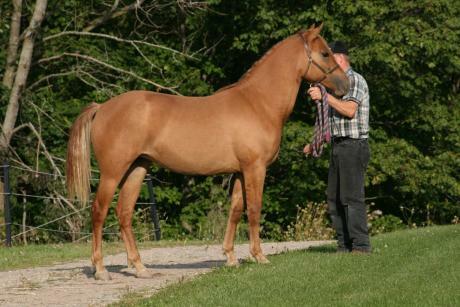 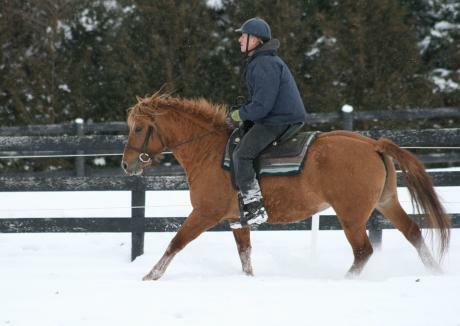 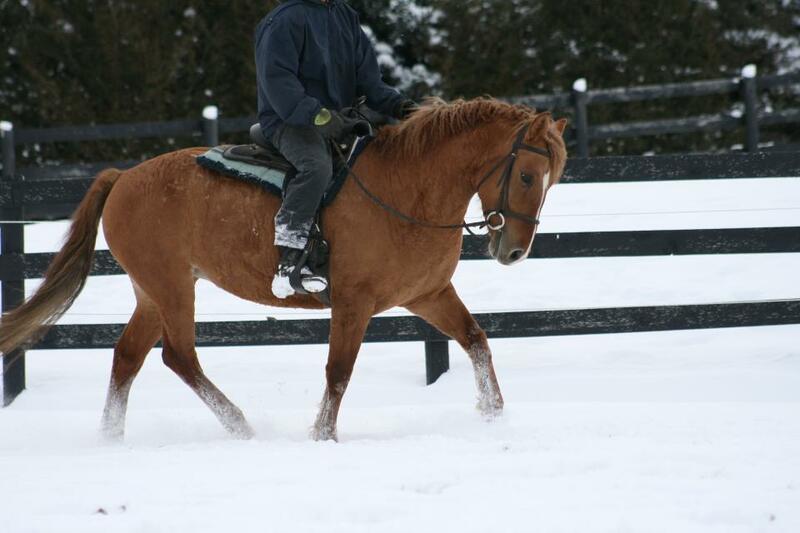 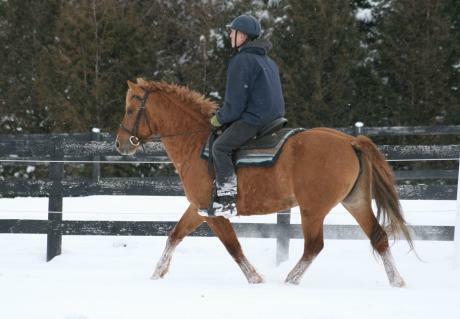 * Foxfire is a 6 year old, red dun, Curly mare going well under saddle, walk, trot, canter. 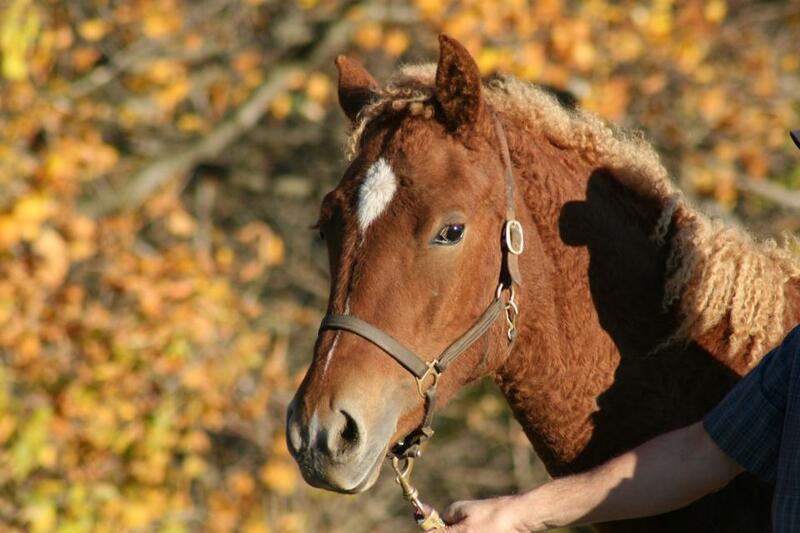 Foxfire also enjoys trail riding and is quite confident when she meets new things. 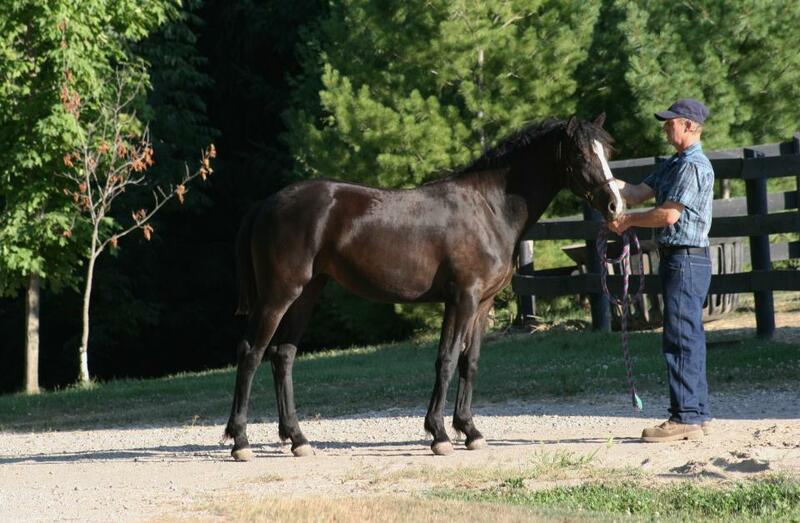 Foxfire likes her work and spending time with her humans. 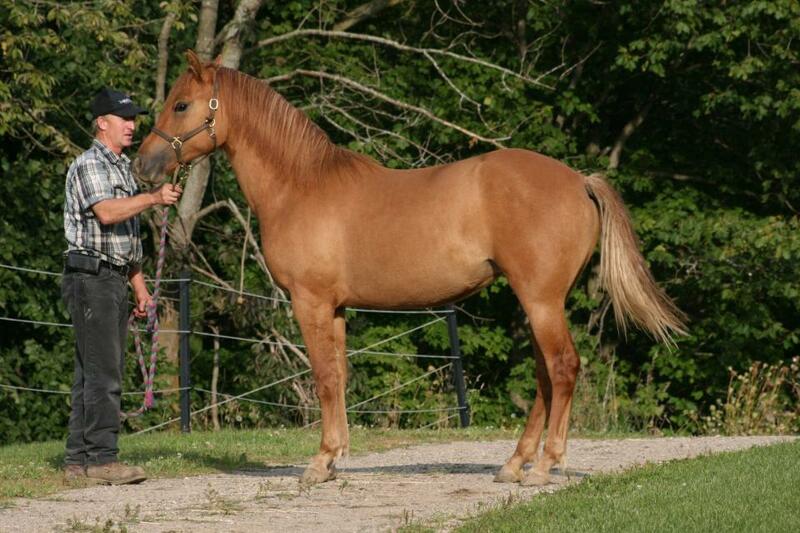 She is put together nicely and measures 14.3 hands. 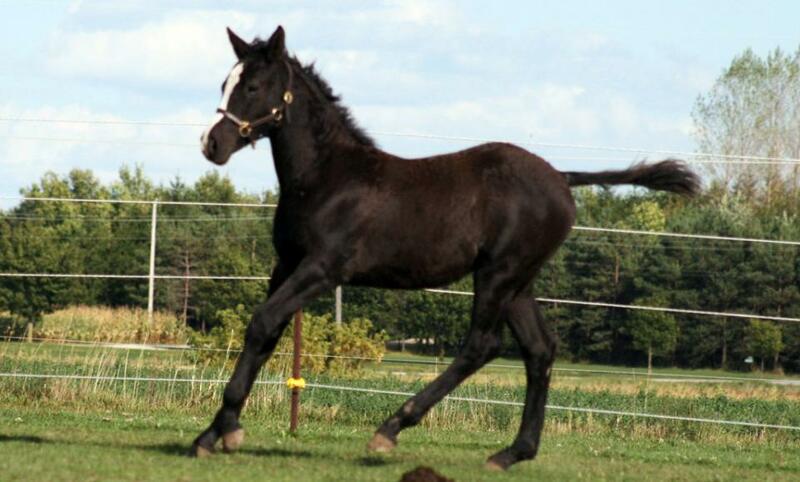 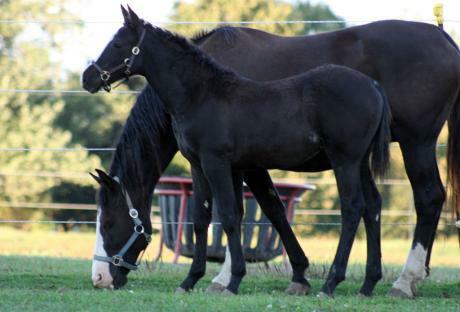 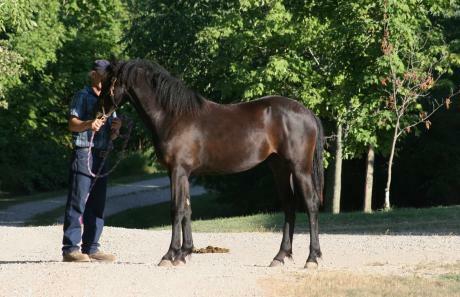 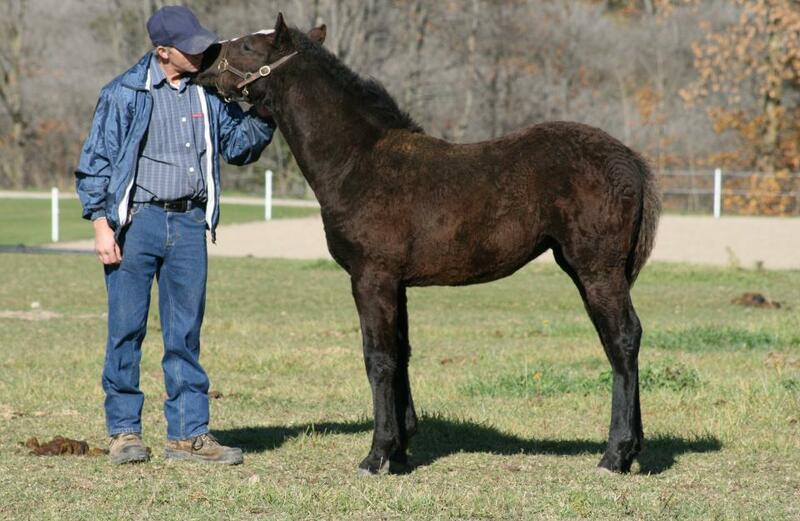 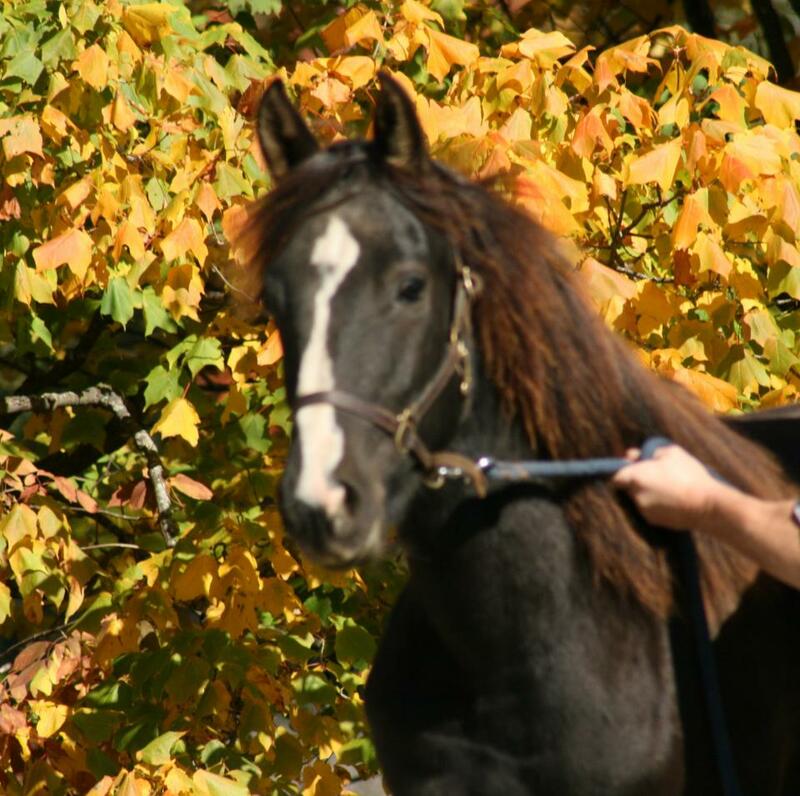 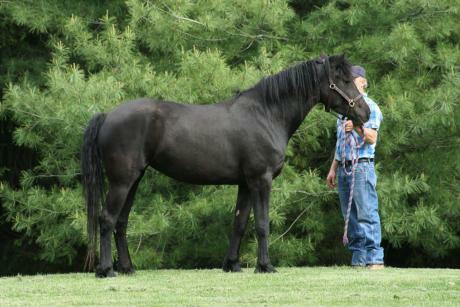 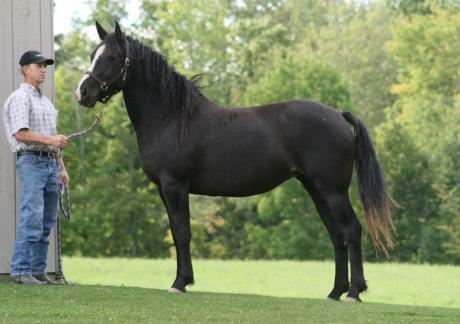 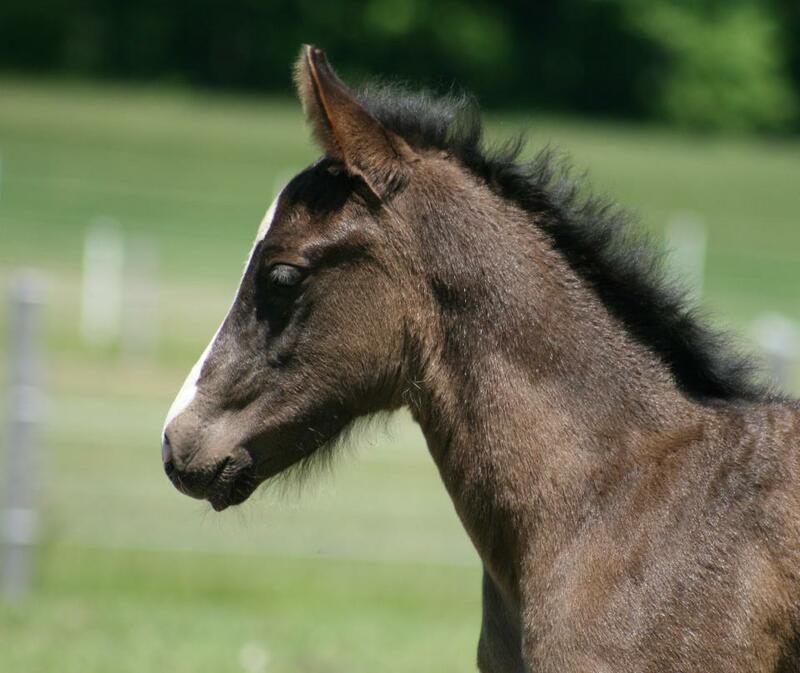 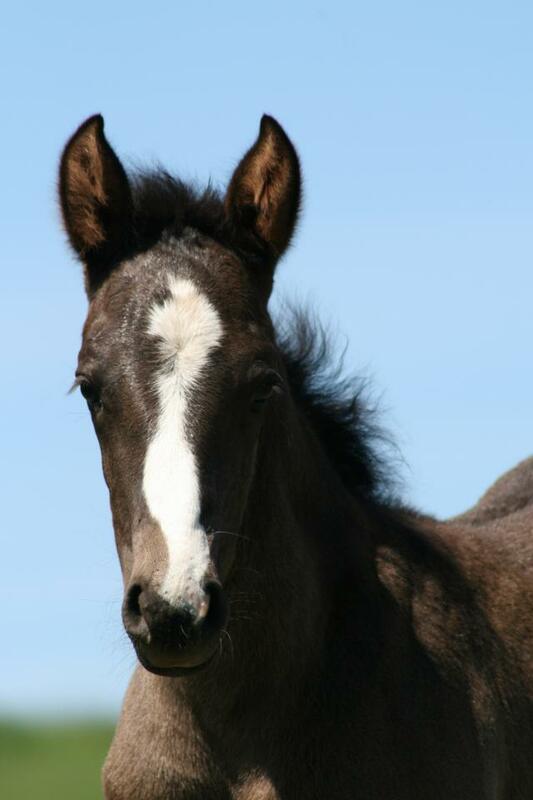 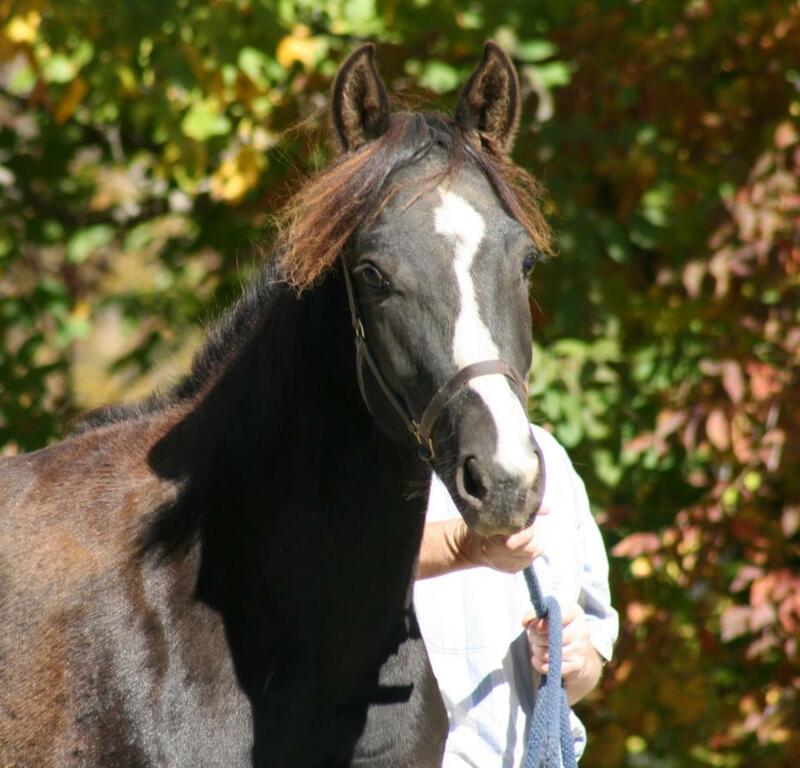 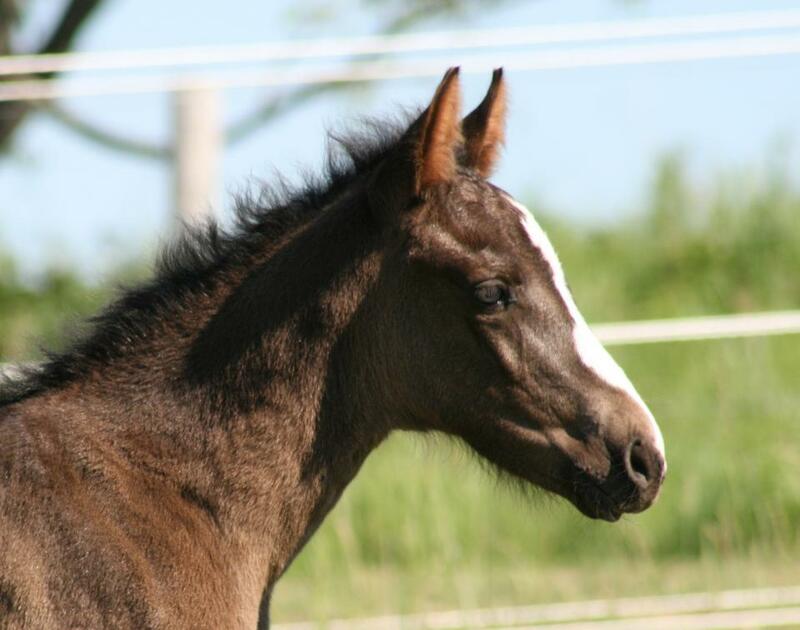 Flicka is a straight coated black filly. 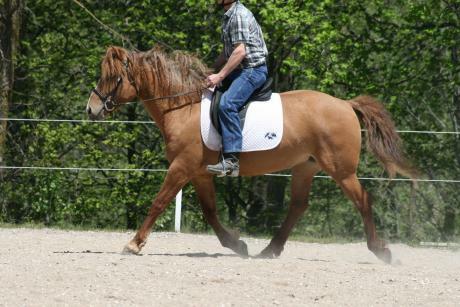 She has a refined feminine look to her and is also a pretty mover. 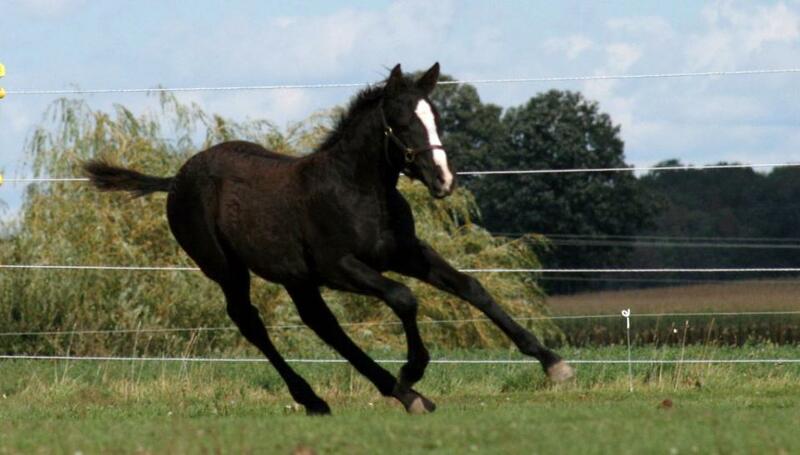 A fine dressage prospect. Flicka's temperament is exceptional - very friendly and clever to work with.